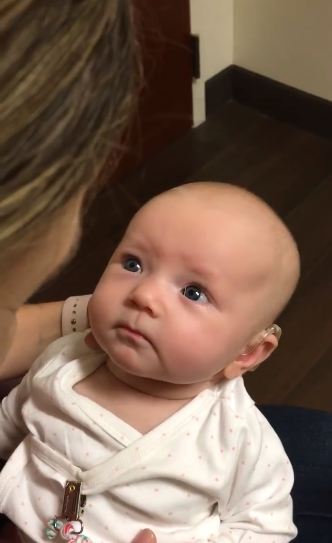 Baby Born Deaf Hears Her Mom Say 'I Love You' For The First Time and Her Reaction Will Melt Your Heart | Do You Know? 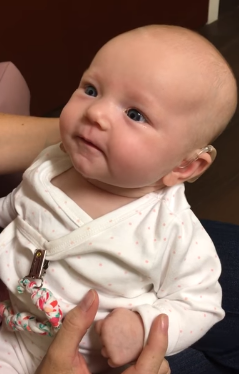 Little Charlotte was born completely deaf. 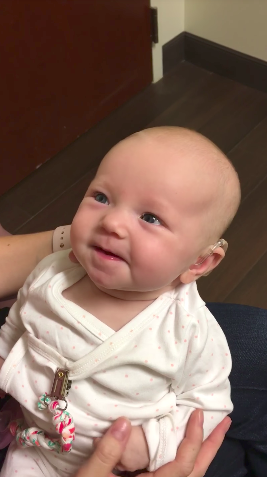 Her parents are still at a loss as to the reason — neither Christy Keane nor her husband has a family history of hearing loss and as Mom wrote on Instagram, nothing can really prepare you for such news. But the couple was okay with it. Their daughter was perfectly theirs. But that all changed recently. Since she’s just a few months old, Charly is still too young for cochlear implants, so doctors fitted her with hearing aids instead. When Mom started talking to little Charly, her face lit up. Then Christy got to say those three little words — I love you. Tears started welling up in the little girl’s eyes, and it was clear she knew just how loved she really was. Just in the last week, Christy’s video has gone viral, receiving more than 10 million views and over 200,000 shares. That’s a lot of love — hopefully, it spreads to other parents facing similar issues. Watch this beautiful mother-daughter moment in the video below. Share to spread more smiles!